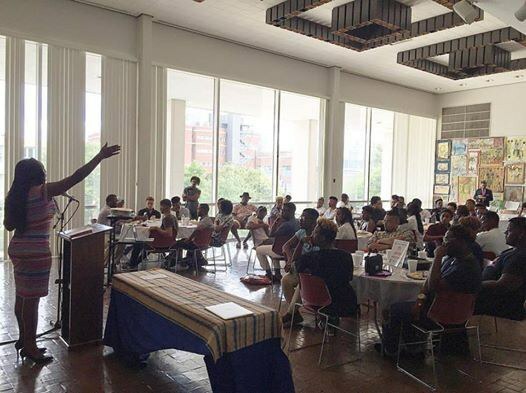 On August 20, 2016 in the African American Hall of Fame, Morehouse College Safe Space organized and made history with the very first Queer Solidarity Brunch and the launch of ADODI Scholarship at Morehouse College. 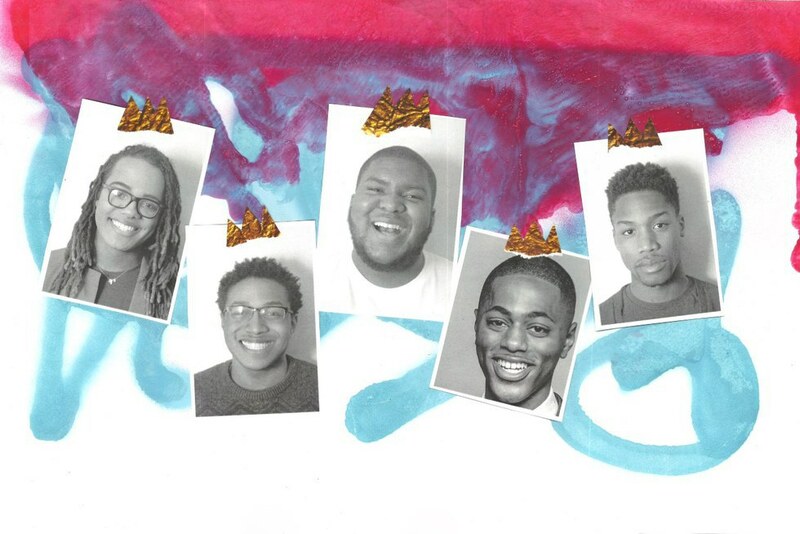 As the only gender/sexuality diverse collective at Morehouse, MC Safe Space executive board wanted to make sure their brothers, 'bristas,' and sisters were affirmed and represented holistically in a safe space that proactively their individuality and identity. Students from the Atlanta University Center, Georgia State, Georgia Tech, and other Atlanta colleges were all in attendance. For many years, Queer, Gay, Lesbian, Bisexual, Gender nonconforming and Transgender students of color have been pushed to the margins when entering and returning to their respective institutions of higher learning, many of these negative factors have historically tried to erase and marginalize LGBTQ students of color. The Queer Solidarity Brunch and the launch of the ADODI Scholarship were a seminal clap-back to the heteropatriarchy that has worked; serving as a statement of solidarity from the Safe Space Executive Board and General Body Members to the incoming First year Class of 2020. MC Safe Space’s Adodi Scholarship fund is aimed at supporting and amplifying the radical scholarship of college students in the Atlanta area who identify as queer, bisexual, transgender, gay, Lesbian and gender non-conforming. In addition to Safe Space members and the incoming Freshmen class, a wealth of community sponsors for the event were also in attendance at the brunch, noting The Gentlemen’s Foundation as a platinum sponsor for the Adodi Scholarship. The additional sponsorships from community partners such as NAESM (Gold Sponsor), AID Atlanta (Bronze Sponsor), The Counter Narrative Project( Silver Sponsor), and Lambda Legal (Bronze Sponsor), helped foster an environment that promoted education on external resources for LGBTQ college students and youth in the Atlanta area. In a riveting opening statement by Morehouse Safe Space’s President Ramon Johnson, who delivered a thorough reflection on the founding and mission of Safe Space, noting an administration in the sesquicentennial year of Morehouse College’s founding. Johnson delivers the inspiration of the Queer Solidarity Brunch, reaffirming the groundwork that Safe Space has continued to lead in liberating identity. “When you show up in a space that was historically built to affirm your blackness but fails to affirm your other identities, you must make space. In many cases, historically black institutions struggle to grapple with queerness. It’s as if our historically black institutions have forgotten how “queer” it was and still is for us black folks to obtain an education in a white supremacist and heteropatriarchal society. Making space for queer identities to flourish on these sacred campuses has been a slow and tough process. There are many narratives both told and untold regarding the traumas experienced by queer folks in educational institutions. Unfortunately, there are not enough images and narratives detailing the resistance to the dominant culture and institutional accountability that queer students and activists have done. Narratives that show the resilience queer people of color possess on these campuses. We have always existed on these campuses. Dominant culture has tried to erase our work and our stories but we must leading this movement. I want to see more images of care free queer and trans people of color making strides to build resource centers, improving campus policies, and making curriculums more progressive. We must answer the call of our beloved ancestors : Keiron Williams, Essex Hemphill, and Marlon Riggs by picking up their tools to dismantle the walls that continue to divide and oppress us. It is also important for administration and employees of the college to be about the business of doing this work. Queer student activists are students first and we must maintain a balance. Too often, we get so involved in campus affairs that we end up doing the work administration, faculty, and staff are supposed to be doing. Sometimes members of administration turn around and try to take credit for the fruits of our labor… our FREE labor. Before embarking on my journey at Morehouse, I never thought I would be doing the work I do now. I never thought I would be in a place of self-love and acceptance of who I am. Safe Space helped me get to that place of healing and has helped many of us current students and alumni since its inception. Learning to love yourself while dominant culture tells you otherwise is hard work but it is necessary. Loving the body, you have, and owning all of your identities is resistance. Resistance helps to unlearn the ways in which we are taught to be afraid of each other, not trust each other, to be ashamed of our desires, and to dislike ourselves. 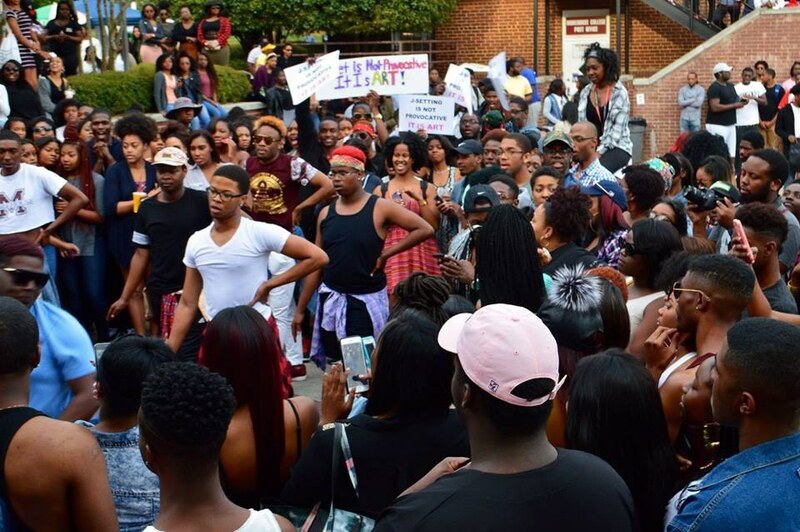 Alongside the Adodi Scholarship fund, Safe Space PR Manager, Kylan Kester, announced a call to fund the future initiatives of the organization, acknowledging upcoming plans for the return of Morehouse Pride Week, an event that garnered Safe Space a 2016 Georgia Voice Best of Atlanta nomination in the “LGBT Event of the Year category.” Safe Space also announced a vision for Morehouse Pride Week that will take the event to an entire new level of art and activism, emphasizing the importance of additional support from the community to bring this vision to life. At the brunch, Morehouse Safe Space also discussed their collaboration with the Bayard Rustin Scholar program in the upcoming 2016-2017 academic year. With plans to revitalize the activism and community engagement component of the program, Morehouse Safe Space announced an additional objective of developing the Bayard Rustin portrait fund at Morehouse, a fund initiated to create a portrait in honor of the late Bayard Rustin; a civil rights leader and organizer whose narrative was silenced amongst the prevalent homophobia and heteronormativity found in the spaces that MC Safe Space continues to challenge and deconstruct. Morehouse Safe Space took out time to acknowledge their community sponsors, all of whom are valuable resources to the LGBT community, which included The Gentlemen’s Foundation, NAESM, AID Atlanta, The Counter Narrative Project and Lambda Legal. Following Morehouse Safe Space member Edrion Williams’ riveting performance of “For My Own Protection” by Essex Hemphill, the audience also welcomed the keynote speaker, Toni- Michelle Williams. Toni - Michelle Williams is a phenomenal Trans-Activist of color who serves as the Leadership Development and Program Coordinator of the Solutions Not Punishment (SNAP) Coalition. In a powerful address, Williams delivered a message to the incoming class on the pertinent value of loving oneself in a world where our bodies are continuously devalued and dehumanized. Having Toni Michelle Williams serve as the first keynote speaker of Safe Space’s Queer Solidarity Brunch was amazing. Too often, we as cisgender men forget to affirm and advocate for the lives and rights of various Black femmes, transwomen, and Gender non-conforming folks who experience violence everyday. Having Toni Michelle Williams deliver the keynote address also served as a perfect segway to address the ways in which many institutions like Morehouse struggle with gender, and gender identity. In an effort to combat heteropatriarchy and mens violence against women, black femmes, queer, and transgender people of color. Safe Space will be starting a petition and continue organizing to enhance the number of tangible resources available to LGBTQ students. 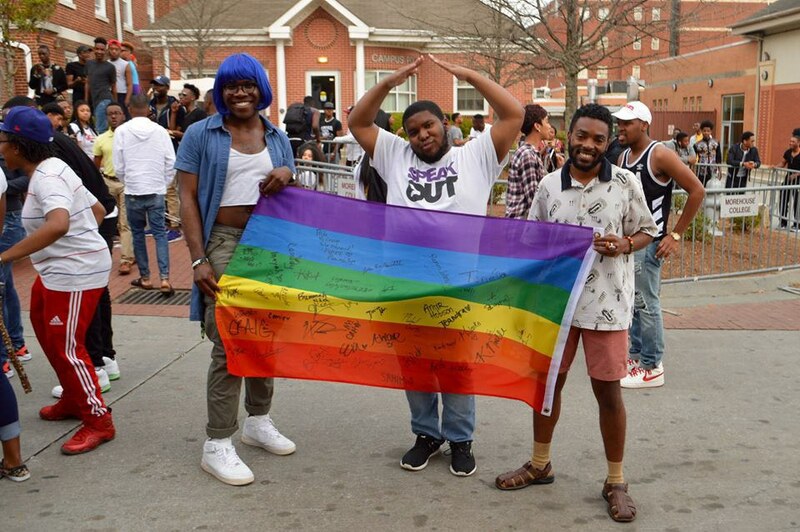 The Queer Solidarity Brunch, which was a preeminent success for Morehouse Safe Space, was only one of many events that the organization looks forward to executing for the academic year. 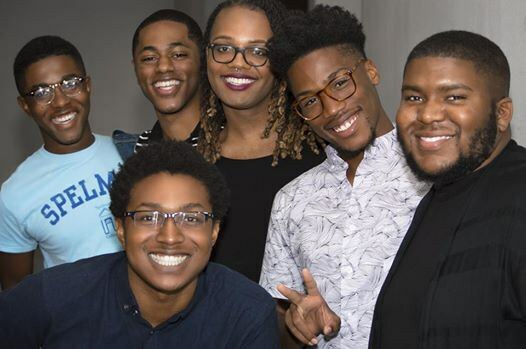 With a number of upcoming events and community engagements, MC Safe Space looks forward to reclaiming and amplifying the narratives of Black and Queer millennials to liberate identity. Interested in knowing what else Morehouse Safe Space has in store? Follow the organization on social media and make your interest known at the first general body meeting on September 1, 2016 at Morehouse College.